Well, hello! It's been a loooong time since I've been doing this bloggin' thing. May 2012 to be exact. To say that my life schedule has been a little insane would be a major understatement! Between traveling all over the Carolinas for tournaments, trying to squeeze in some beach time here and there and then leading up a LARGE project at work for over 160,000 individual members and 700 clubs beginning in June. That pretty much sucked any free time I had right out the window! SO! What have I been up to besides work and working some more you ask? Well, for one....I've been working hard to lose more weight. Luckily, I've been able to complete this task even with all the stress and ridiculousness of a sleep schedule I've been keeping. As some of you know from my facebook posts I've been working hard at trying to get slim. It's taken about three years and a lot of early mornings at the gym but I've managed to take off about 50 pounds and get down from a size 16 to a size 10! I can't even believe I just told you I was a size 16 but who cares because now I'm a size 10 people!!! I'm working hard to stay there and so far, so good! 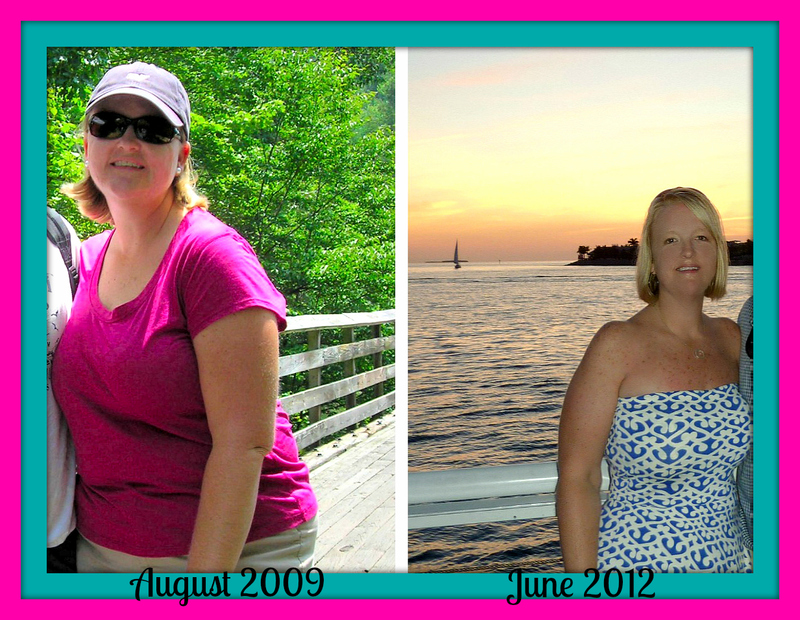 (L) Before: Me -- August 2009 over 2 bills (yes really) -- (R) After: Me earlier this year down 50 lbs! On to the New Year of 2013. I can't believe its already here. January is flying by. I wish time would slow down a bit though. Wouldn't that be nice? It's all going a little to fast for me. The hubs and I were able to sneak away for our annual Christmas ski trip to Telluride, CO. It was beautiful out there, just as it always is. I'm getting better at skiing and finding my way on the mountain. I'll update you on our trip in a few days. Still need to get all the photos off the camera. Work got in the way a few days but I say it's still better to work with a hot chocolate in your hand with snow capped mountain views than being stuck in the office. So all was not lost. Not work so much! I do not get paid enough! I really, really don't. Use all my PTO in 2013. I lost almost two weeks in 2012. I've never done that...EVER! Go out on our boat more in 2013. We only used it twice last year. Play more golf. I haven't touched my clubs since August and I was finally getting the golfing bug back. Keep working out and getting tone and fit. Get back my work hard -- play harder life mentality. Except maybe not work so hard anymore. Life is too short! So as you can see I thought a lot about things and how I've been living my life. The hard work ethic my Grandfather instilled in me is a blessing and curse at all the same time. What is a girl to do?!? I'm also proud to say that I've decided to get back into my blogging and hope that it can turn in to something more down the road. Whatever that might be. I enlisted the help of a lovely lady from Etsy who helped me re-design the whole thing. She was short of AH-MAZ-ING! Check her out at Little Web Writing Hood Ask for Jana. Tell her I sent you. Anyhow, thanks for staying with me, even through my hiatus. I promise to do better in 2013 and beyond. I hope you enjoy my new project. I'm excited about the new design and ideas I have piled up in my head. I'm also looking forward to using this blog as an outlet for my love of the coast and design. Not to mention all the funny photos and stories I'll have along the way from our trips and adventures. I hope you guys will stay tuned! Until next time!